For as long as I can remember, peppers have always been a huge part of my diet. From Mom’s delicious stuffed peppers for dinner. Green peppers finely chopped into my grandmother’s heavenly tuna salad. 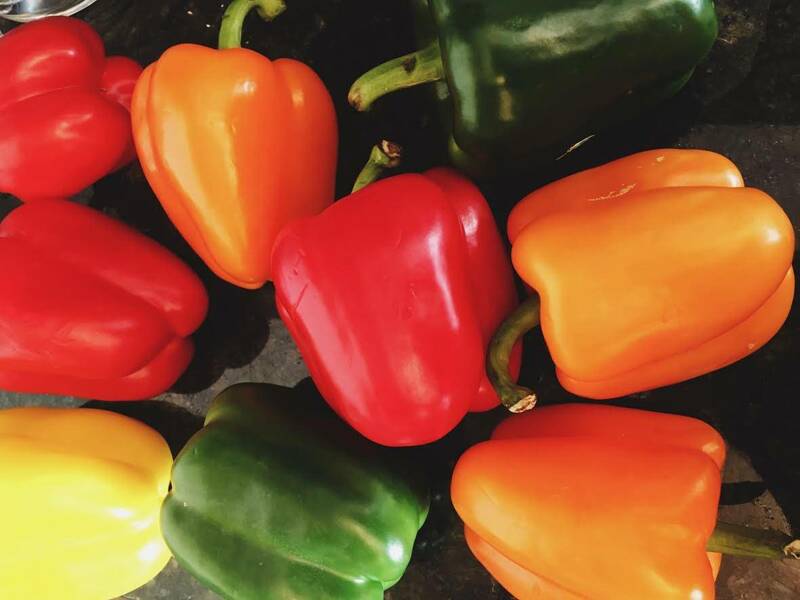 Cooking up a pepper stir fry with rice or as a pizza topping during my lean college years — peppers, in all of their variety, have always been around. Because they’re a vegetable, I knew they were healthy, but never looked into why they are healthy. From a beauty standpoint, they are a great addition to any diet because they boost collagen production keeping your skin right and tight through vitamin C. They protect your skin against damaging free radicals with vitamin E (we love that vitamin E, don’t we?!). And with both vitamin C & E working together, they aid in helping the skin by guarding it from the sun’s damaging rays which can age you quicker than a raisin in the sun. And if that’s not enough, the beta carotene in peppers converts to vitamin A to further repair the skin from damage while Selenium keeps the skin tight and firm! Also, peep the Omega 3 Fatty Acid it contains. Omega 3 Fatty Acid helps reduce inflammation throughout your body which can show up in your skin as acne and other problematic issues. If your mouth is watering now, here’s a great healthy recipe I found at Ambitious Kitchen for Black Bean, Sweet Potato & Quinoa Stuffed Peppers while surfin’ the net on healthy ways to cook with peppers.